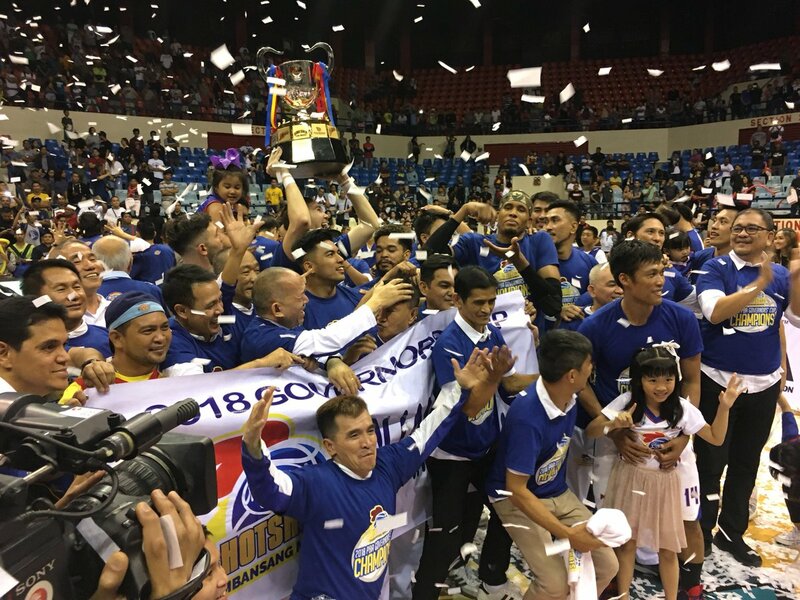 MANILA, Philippines – The Magnolia Hotshots are the 2018 PBA Governors’ Cup Champions after dismantling the feisty Alaska Aces, 102-86 on Wednesday, December 19, 2018 at the Ynares Center in Antipolo City. Congratulations to Magnolia Hotshots, the 2018 Governors’ Cup Champions! With a 3-2 series lead, the Magnolia Hotshots had nothing in mind but to finish off the Alaska Aces to wrap up their 2018 in a high note. Winning momentum will go down to waste if Magnolia will give Alaska an opportunity to settle the score in a do-or-die match, so with this, Romeo Travis pushed himself hard to the basket early in the first to post a 10-0 opening salvo. The Aces being in a win-or-go-home status, called two consecutive timeouts to counter the Hotshots’ offensive intensity. After the short powwows with Coach Alex Compton, the boys in red finally put themselves on the scoreboard. Just like the previous games, Magnolia locked down on Mike Harris and let the Alaska locals do the their work on the court. That bold move paid off as the Hotshots maintained their double-digit lead, 32-18 after the 1st quarter. Travis who had an early 15 points opted to sit down as the teams started the 2nd period. Alaska also ended its scoring drought as Simon Enciso made an uncontested layup with just few seconds gone by. Harris made himself free from the pesky Magnolia defenders that resulted to a decent scoring run and the Aces managed to bring the lead down to 5. It was just lady luck wasn’t on Aces’ side as their momentum was cut short as the tandem of Mark Barroca and Paul Lee punished them from the three point territory to put the Hotshots’ advantage back to 15 with 3 more minutes left in the half. Magnolia’s huge margin stayed after the first 2 quarters of the game with a 60-42 lead over Alaska. The Aces made some good shots in the 3rd quarter. However, the Hotshots did the same thing to prevent their counterparts from inching closer. Jio Jalalon could be Magnolia’s key in retaining their good amount of lead as the 5’9” guard kept the energy and tenacity of his teammates on the floor. The former Arellano Chief got good number of boards as well against Noy Baclao. Alaska really tried hard to find a solution to Magnolia’s offensive onslaught but still can’t decode it and was left with just a quarter to force the series into a knockout game after an unfortunate 80-63 3rd period performance. Magnolia recorded its first 20-point lead of the game at the beginning of the final canto and possibly the last quarter of this series. A sense of urgency arose from all Alaska players as the clock winded down. They have tried attempting from the outside but none was converted. In contrast, Magnolia played as a solid team and was successful from the rainbow arc. Simon Enciso could’ve sparked his team up as he scored 5 consecutive points followed by his fellow locals in the last few minutes of the ballgame. Alaska’s gallant and small push lowered the margin to just 10. Alaska’s hope in winning the title finally shut down as the Aces failed to level and extend the series into game 7 as the Magnolia Hotshots closed the doors for them with a 102-86 victory to cop the 2018 Governors’ Cup trophy.